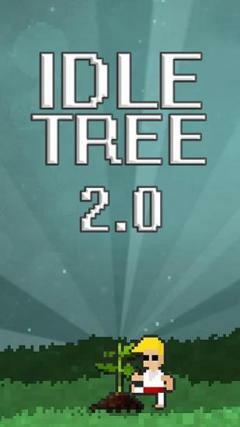 Idle tree 2.0 - make trees grow. 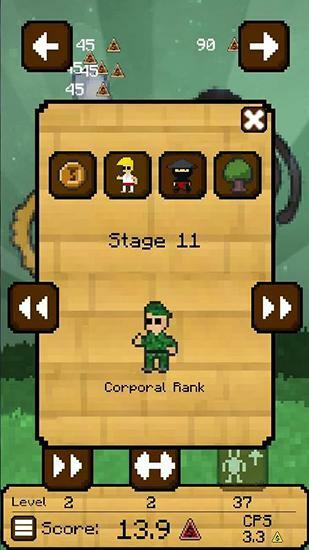 Tap the screen to make the hero kick the tree so it grows faster. The quicker your fingers, the faster the tree grows. 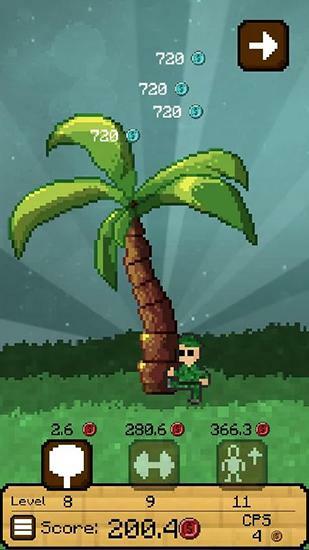 Grow the most incredible trees in this game for Android. First you'll see a small seedling. 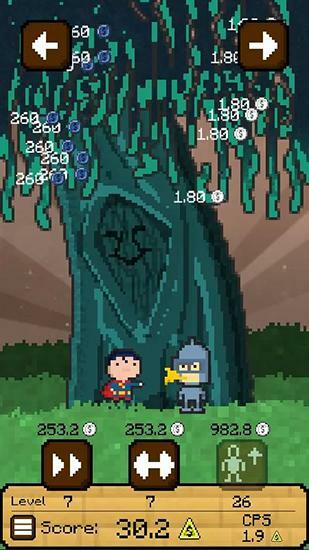 Tap the screen and the hero will hit a tree to improve its growth. Grow oaks, palms, and many other trees. The bigger your tree, the more coins you get. Use coins on discovering new species of trees. Unlock unique heroes like Superman, and many others.